I got my first official running injury in January. Ironically enough, it started with small blisters I got from walking around Disney. 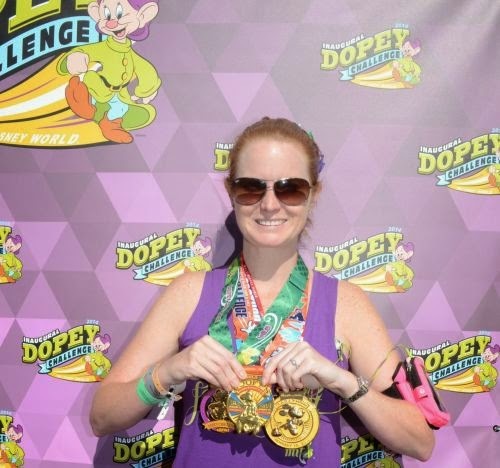 The little annoyances became a severe problem after continuous days of pounding the pavement during runDisney 'Dopey Challenge', a four day event equaling 48.6 miles (5K, 10K, 1/2 Marathon, Full Marathon). My mom and I went to 4 different stores in Orlando searching for Moleskin, the only thing I knew that could help relieving the pain and uncomfort at this point. Apparently the 25,000+ other runners in town purchased all the Moleskin to be found. During the full marathon on day 4, around mile 8, I knew something was wrong - more severe than blisters. Instead of stopping at the medical tent, I pushed on. Around mile 20, it hurt more to walk than run, so I wobbled those final 6.2 miles to the finish line. The moment I finished, I had one thing in mind - find the medic tent. I was instructed to go see my PCP the next morning. The next day, my foot had doubled in size and those blisters turned into a bacterial infection called cellulitus, a diffuse inflammation of connective tissue. We spent more time in and out of Walgreens during the Dopey Challenge weekend. If you have ever spent a weekend at Disney, you are aware of the time it takes to navigate around the property. I vowed to myself right then and there that I wouldn't go to another out of town event without an on the go active kit. A key component for an on the go active kit for runners is Acetaminophen for relieving pain. This is the only over the counter drug handed out during a half marathon or full marathon at the medic tent. Instead of wasting time at a tent, I run with two 500mg Well at Walgreens Extra Strength fast release quick gels in my running belt. I also take one before I go to bed the night before a long distance event. Six hours post race, I will take a NSAID to reduce swelling. After what I went through in January, I will never ever go out of town without moleskin again. 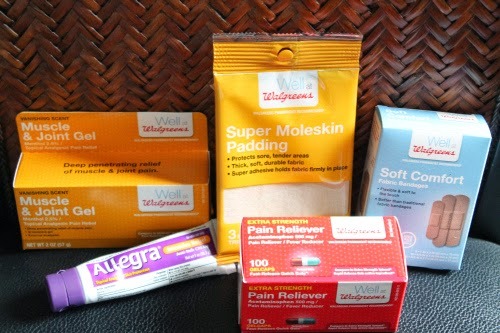 I literally stocked up on this stuff at Walgreens after returning home from the Dopey Challenge. Of course, murphy's law, I have not had a blister since January. Other important items are non-latex bandages - If you are anything like me, you always need a bandage while traveling. Muscle & joint gel is another item I do not leave home without. One that is greaseless with a vanishing scent is always preferred. Finally an anti-itch cream - I have very sensitive skin and break into hives very easily. This helps me with skin allergy issues. In good news, I did survive the Dopey Challenge and came home with 6 brand new medals that weekend (3 of the 6 shown in the photo above). I also have been able to continue running but have to keep close attention to my toes. With the upcoming wedding and trying to save for a house, we are cutting costs everywhere you look. One thing that I started a few months ago was purchasing private label products from stores. For the most part, I wouldn't know the difference if I didn't see the packaging. 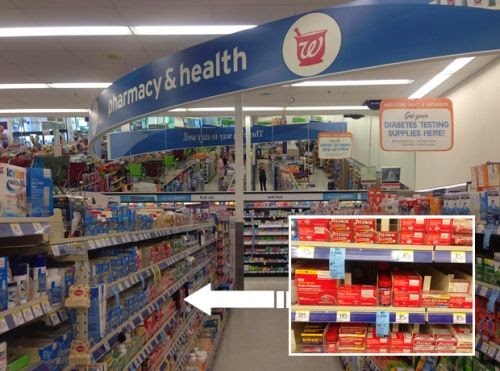 #WellAtWalgreens has an amazing lineup of products available and are pharmacy recommended - plus by purchasing one of these private label products will give back to your community and I am all about that. Walgreens Way to Well Commitment - Beginning February 1, 2011 through December 31, 2014, 1¢ from the purchase of every Walgreens Brand Health & Wellness product, up to $3 million annually, will support bringing preventative wellness services to local communities through the Walgreens Way to Well Commitment®. 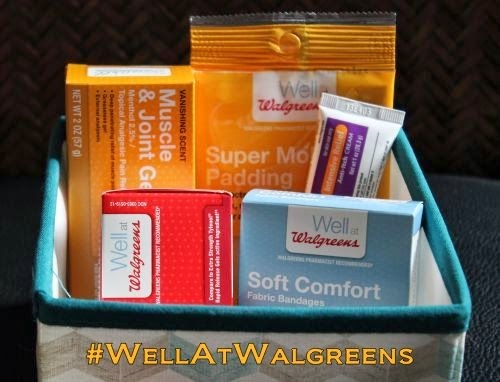 Do you have a travel wellness kit? If so, what is inside of it?